Traditionally a “transit city”, Santiago is well on its way to becoming one of the most popular tourist destinations in Chile, as is Patagonia or the Atacama Desert. Chilean travelers now spend several days in the Chilean capital and take time to discover and enjoy its beautiful sites. In addition to experiencing the growing wine tourism in the outskirts of the city and gastronomy of international note, tourists in Santiago seek to experience the essence of Chile. The unique flair of the city can be taken in on walks through emblematic neighborhoods, and we are now offering walking tours as a complimentary add-on without extra charge to our classic City Tour in the new season. In addition to visiting the main attractions in the center of the city, we will give you the inside scoop as to what makes Santiago unique. We are still discovering Santiago for you “off the beaten path” and look forward to providing further details about the highlights of the walking routes in the upcoming months. One walking tour option is the Parque Bicentenario Vitacura. 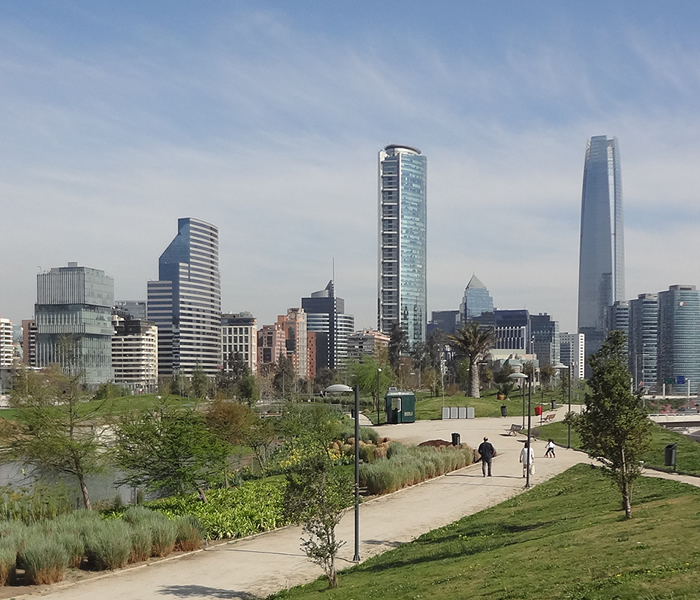 The park is located in the modern part of Santiago, which the locals like to call “Sanhattan” because of its countless skyscrapers. This oasis of native plant species offers a relaxing counterpoint to the bustle of the big city. The center of the spacious park boasts an artificial lagoon with Chilean flamingos and Patagonian black-necked geese. On clear days, from the park the Andes seem close enough to touch. 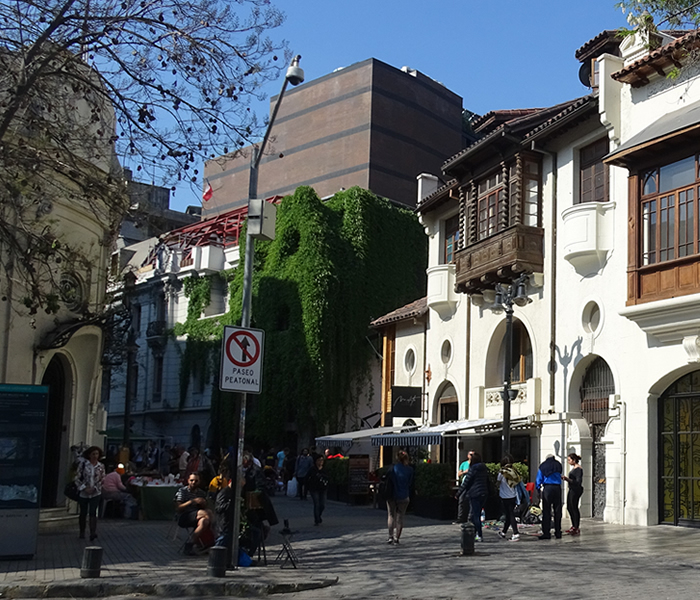 Another walking tour option is the district of Lastarria in the heart of Santiago and the perfect place to immerse yourself in the cultural and culinary life of the Chileans. The numerous cafes and bars invite you, with the right drink in hand, to observe creative street vendors and artists. Let your eyes wander from the nearby hill of Santa Lucía, the founding site of the city, to the narrow streets with many craft and other small shops. For art lovers, the Neoclassical-style Museum “Bellas Artes” opens its doors in the traditional Forestal Park. 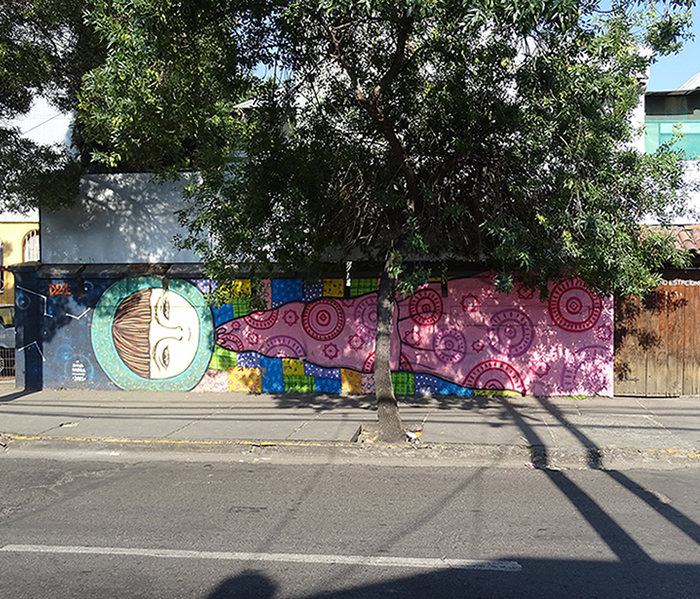 As in many cities around the world, Santiago has established a vibrant art scene for street art and graffiti. Streets and building facades offer the younger generation of Chile the perfect surface for many artistic works. These works can also be discovered on a walking tour, following the footsteps of this contemporary urban art form and its creators. If you are interested in adding a walking tour to your itinerary, please contact your travelArt representative.